IMMUNOSTIMUL- the result of long-term developments of scientists of the Far East, gives a stable result on the second day of admission. IMMUNOSTIMUL- the winner of the International Pharmaceutical Prize "Zelenyy Krest" in the nomination "Nauchnyy proryv v bor'be s prostudoy i grippom". Powder of sea kale (kelp), hydrolyzed fermented milk of salmonids, fucoidan (seaweed extract), hydrolyzed fermentative ganglion squid. Contraindications: individual intolerance of ingredients, children under the age of 18, pregnancy, breast-feeding. Persons with thyroid disease should consult a physician before use. Shelf life: 2 years. Store in a dry place, protected from light and out of reach of children, at a temperature not exceeding 25 ° C.
Biological active additive. It is not a medicinal product. 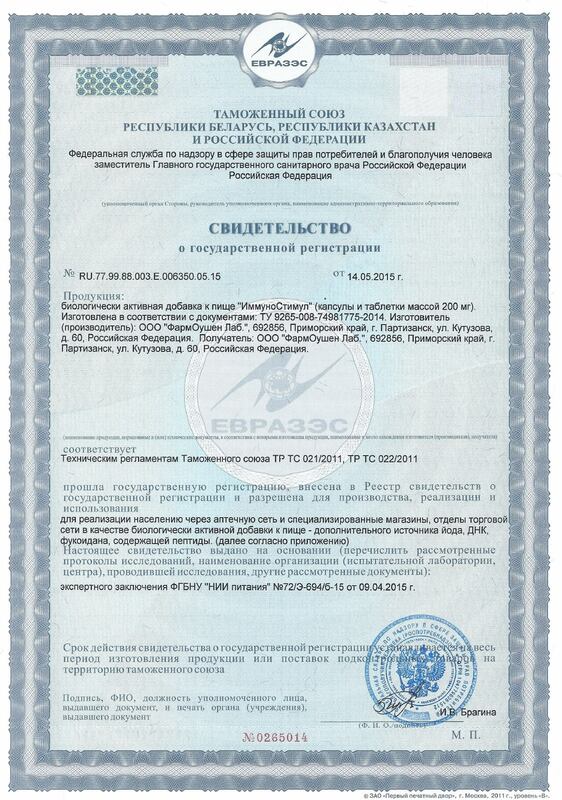 Certificate of state. Registration No. 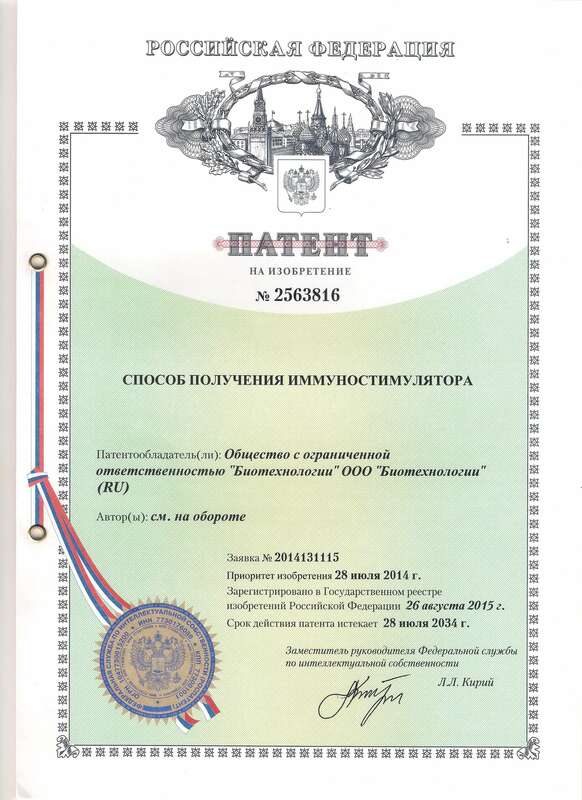 RU.77.99.88.003.Е.006350.05.15 of 14/05/2015.